DAEMON Tools is a unique ultimate virtual emulator, which allows to work with the most popular virtual images formats: ISO, NRG, IMG, CUE/BIN, CDI and many others. 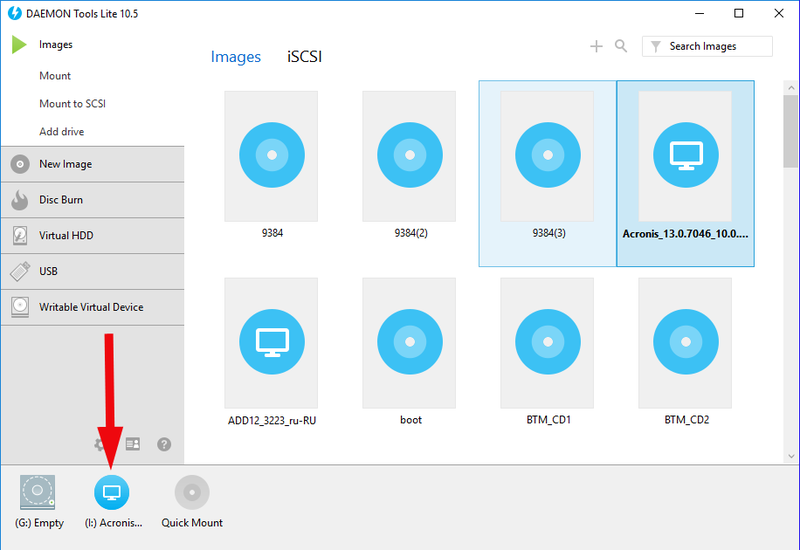 Despite the fact, that interface of the tool is constantly changing from one build to another, it’s always very pleasant to get acquainted with new tricks and abilities of the app, trying to experiment with setting up the images and logical devices. 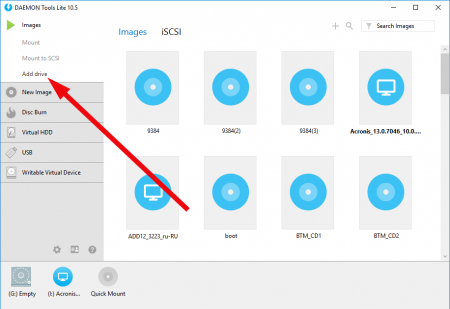 In this article I will tell how to mount image with DAEMON Tools and do it fast and as easy as possible. The Lite version of the application is a bit limited with the functional elements, but for usual work with emulation of the virtual images it is quite suitable as none of other programs. Lightweight, handy and cozy – DAEMON Tools Lite immediately attracts the attention of the user by friendly interface and adaptive design. 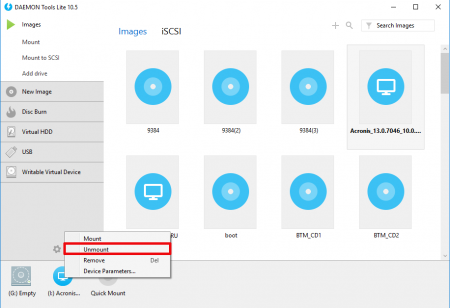 How to automatically mount virtual image file to new created logical device? Now a few words about the way this program works. The primary and the most vital function of DT is mounting the image on the virtual logical device. 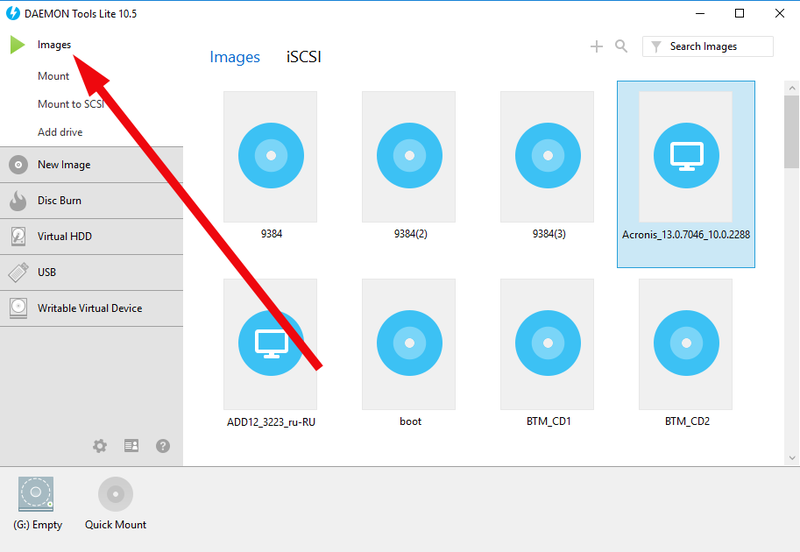 In order to do that, go to “Images” section and select the file from the list, which you are going to mount. The embedded search mechanism of DAEMON Tools operates in such a way, that even after first running of the app, the engine is looking for all the virtual images, stored on your hard drive and adds them to the list of files available for mounting. 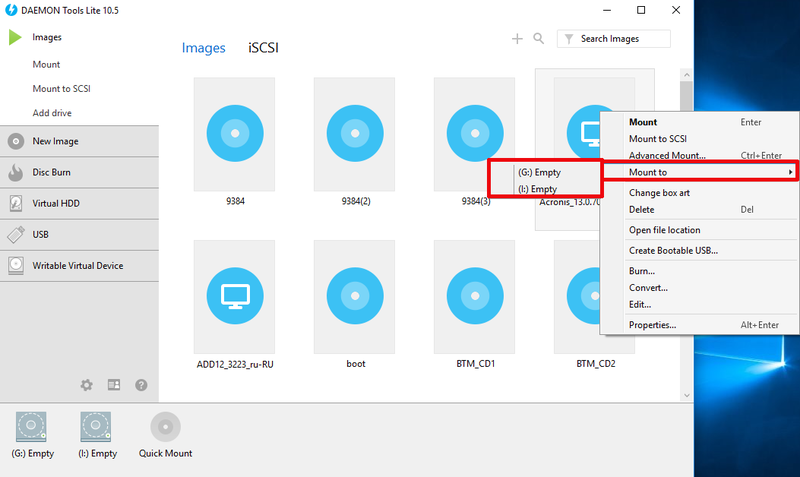 Thus, if you want to mount an ISO-image with new game, you don’t have to search for the file on the hard disk manually. Just scroll the list in the “Images” section and find the appropriate object in there. 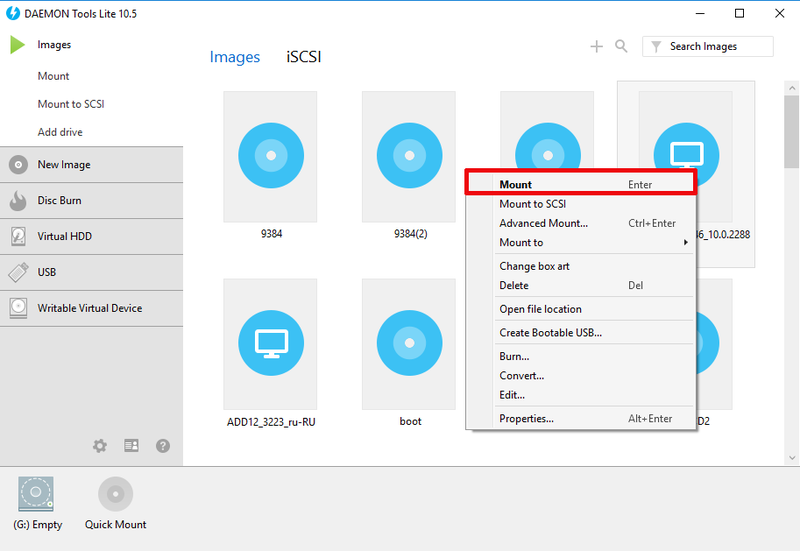 After the image is selected, make a right click on it in the list and choose “Mount” option in the context menu. In a second the image will be automatically mounted to new available virtual device. 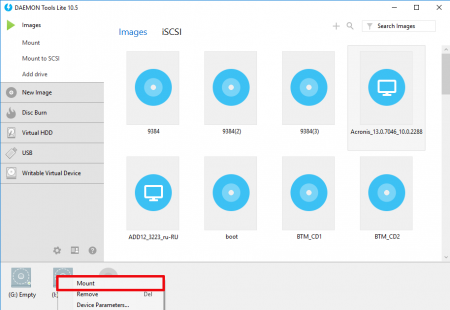 How to automatically mount virtual image to existing logical device? 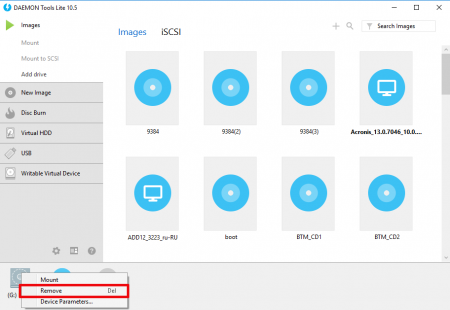 If you don’t want to add new virtual disk to the OS disk structure, you may do it as well. In order to bring it into life, make a right click on the appropriate image file in the list and select the “Mount to” option. 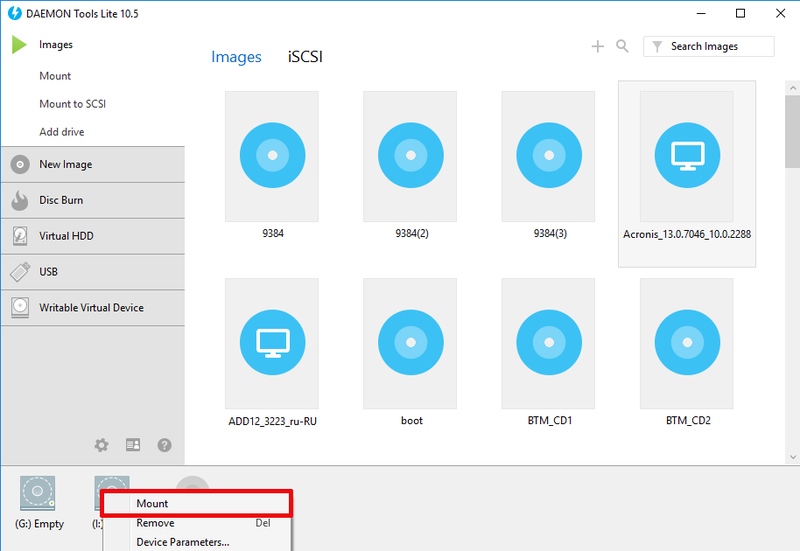 After selecting this menu item, the list of available virtual logical drives will appear, where you can define the letter of the device you expect to use for emulating. 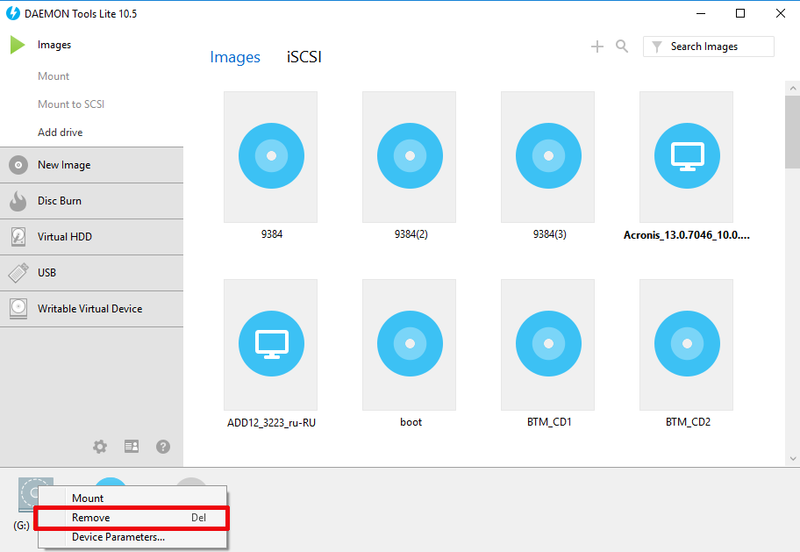 How to manually mount an image to virtual drive? If you don’t like the automatic methods and prefer to do everything manually instead, you may use the manual procedure. In order to do that, make a right click on the appropriate logical device in the bottom part of the active form and choose the “Mount” option. After that define the path, where the image file is stored, and as a result the file object will be mounted on the selected drive. 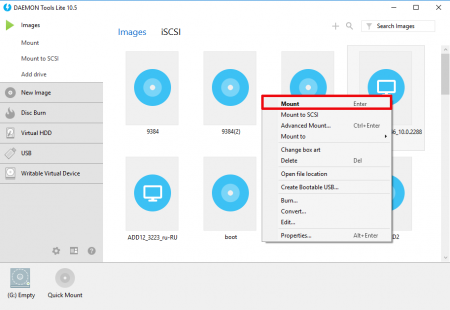 As an additional way, you may use the simple “drag-and-drop” method and move the image file to logical drive via the mouse. This method also works perfectly. How to unmount the image? 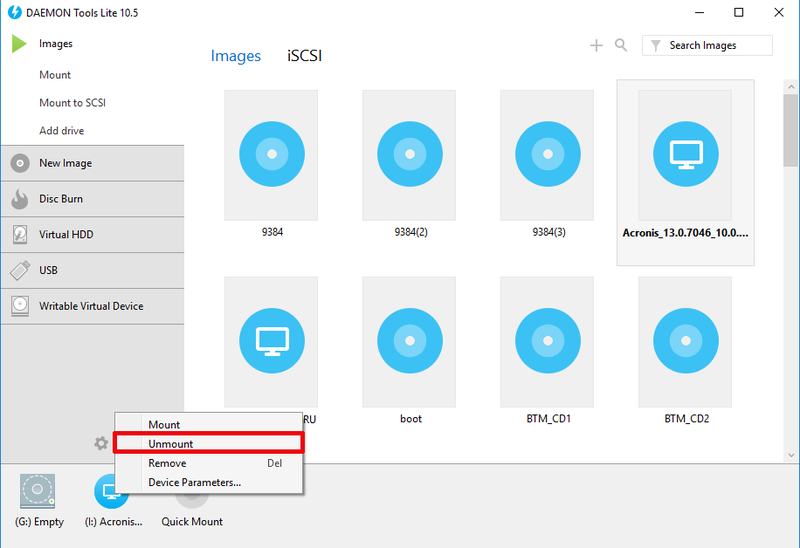 In order to unmount the virtual image, simply make one more right click on the mounted disk and select the “Unmount” option in the context menu. How to add new drive? As a conclusion, a few words about how to add a new logical drive to the list of available devices. If you want to add a new disk, click the “Add drive” button in the Images section in the left upper corner. 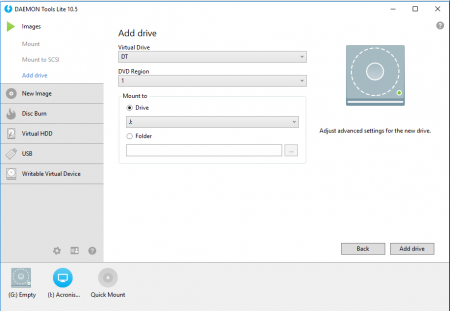 After that the form appears, where you should define the virtual drive settings. At first, the interface: DT, SCSI or IDE. The last option is not available in DAEMON Tools Lite, so think over the first two available interface variants. In short, DT is more universal and dexterous interface in comparison with SCSI, so I would give preference to this particular option. Another option is geographical region. Regarding this matter, leave this setting defined by default. At last, the crucial point – selection of the letter for disk. Make a proper selection and click the “Add drive” button. Finally, the disk is created. How to delete a drive? For drive removal make a right click on the appropriate disk and choose the Remove option or press the Del button. As you can see, it’s very easy to mount using DAEMON Tools. One more note: in free version you can’t burn the images to optical disks, but you may grab a disk from optical storage device. If you need to burn a disk, use ImgBurn tool instead.